The school became one of the winners of the competition for participation in the social program Healthy Schools: for the sake of healthy and joyful schoolchildren. 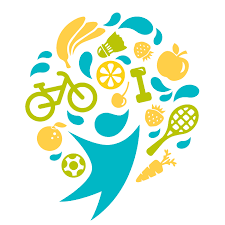 The goal of the program is to promote healthy lifestyles, rational nutrition among students, and the concept of “healthy design” of recreation and facilities where children are eating. The coordinators of this project at school are Sokur O.I., the teacher of the subject of the foundation of health. During the school year, various activities related to sports, nutrition and design are planned within the framework of the program’s implementation at the school. We invite parents, students, teachers and the public to actively participate. Note: Healthy Schools: For Healthy and Joyful Schoolchildren – A unique three-year social program implemented by the CSR Development Center and Mondelais International Foundation. The program aims to promote the development of healthy nutrition, physical activity and the conscious attitude of students towards their own health. For this, over the next three years, more than 17,500 children will be involved in more than 500 schools throughout Ukraine.